Happiness is......Singing in the Choir!! 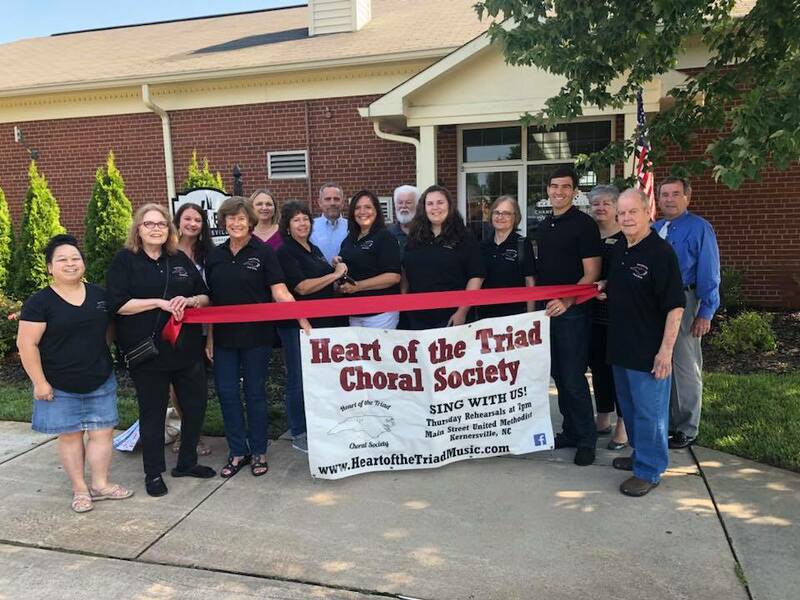 Heart of the Triad Choral Society is a non-profit organization with a tax exempt 501(c)3 status. We are a member of the Kernersville Chamber of Commerce. The roots of Heart of the Triad Choral Society date back to 2011, but we redefined our identity to reflect our desire to reach out to the greater triad community with our 2016 season. The choral group is open to anyone - men, women, young and old, who love music. We do not require auditions. 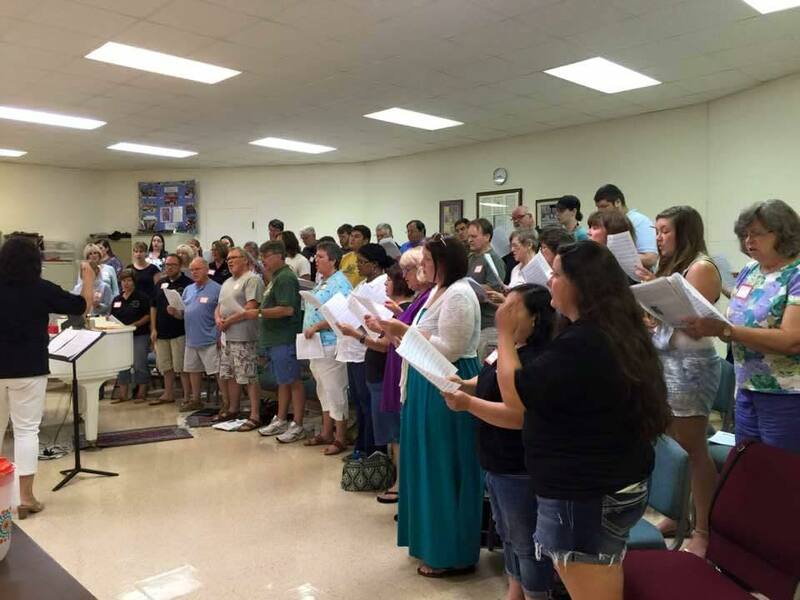 The group rehearses each Thursday evening during our season and we are fortunate to have the donated use of Main Street United Methodist Church in Kernersville as our "home base", however we are not affiliated with any religious organization or denomination. 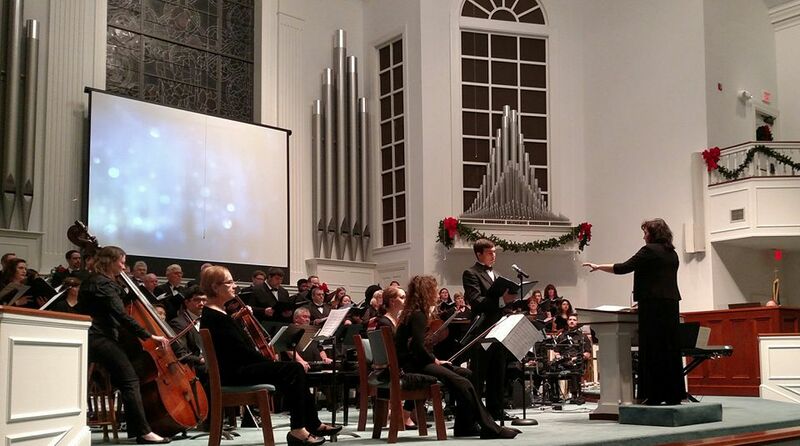 We perform at least two major concerts each season that feature a variety of great songs, including composers such as Brahms and Mozart, early American Folk Hymns, Spirituals, and contemporary pieces made famous by groups such as the Brooklyn Tabernacle Choir and Hillsong United. These concerts feature professional orchestra accompaniment. These concerts are free but love offerings are accepted at each concert. All who love to sing are welcome to join this wonderful organization! No previous musical knowledge is necessary. Membership dues are $60.00 for one season (September-May) or $40.00 per semester (September-December, January-May). Full time students are $30.00 for one season or $20.00 per semester. 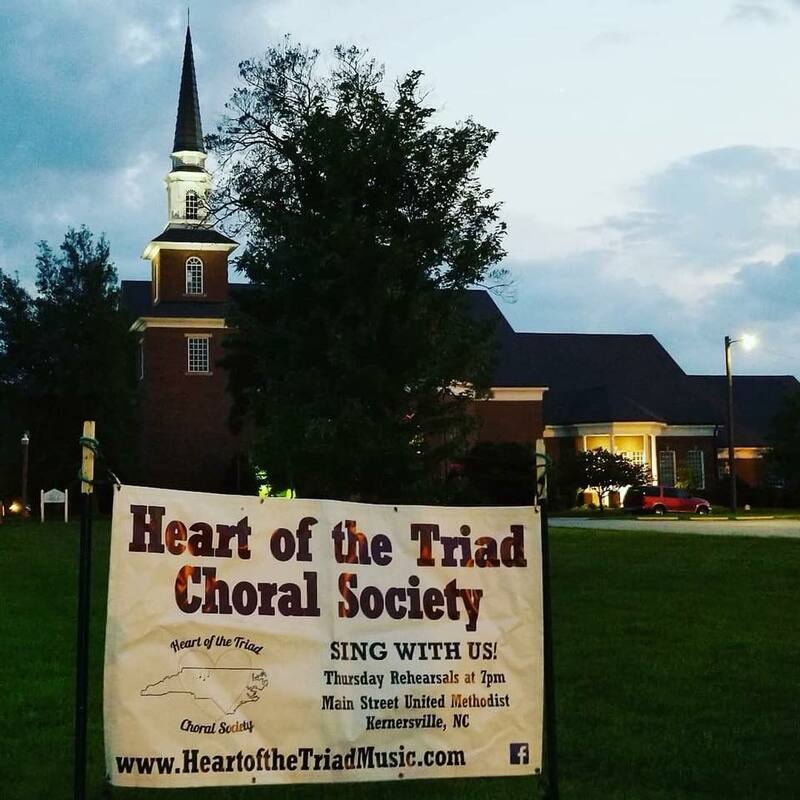 The Heart of the Triad Choral Society builds community that enriches the triad through the transformative power of choral artistry. 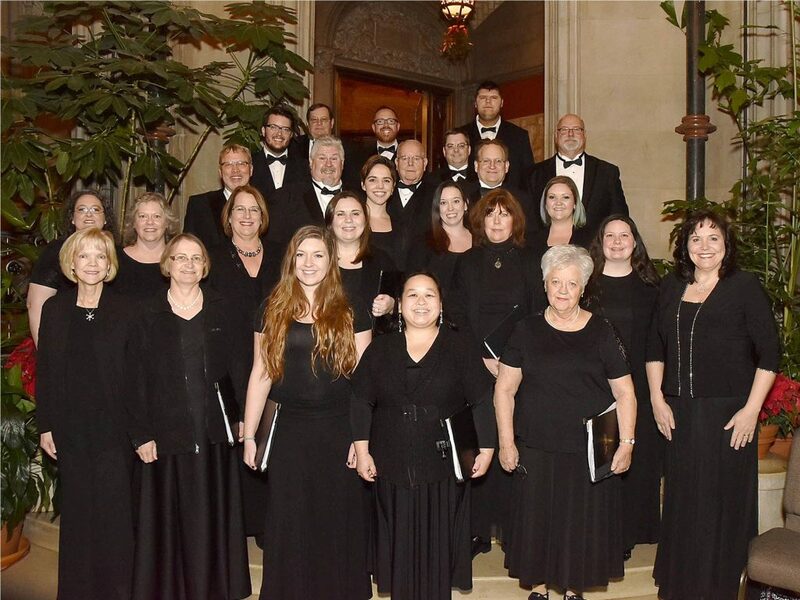 Through the power of choral performances, Heart of the Triad Choral Society embraces and encourages a welcoming environment built on diverse programming, networking, and outreach. Heart of the Triad Choral Society's Silent Auction TODAY! Footnote Cafe, 634 W. 4th St, Winston Salem. 12:00-3:00 pm.